After the brutally cold and seemingly endless winter, it’s hard to believe spring time has finally arrived! We all know spring is a time for cleaning out the old and bringing in the new, but that sentiment applies to more than your home. It’s the perfect time to dive into your website and examine your current online marketing strategy in order to decide what changes you can make to rejuvenate your online presence and grow your business. Here are 5 helpful spring cleaning tips to improve your web marketing. Think of your website as a garden which needs to be weeded, tended, and cared for. We all know that spring is a time to till the soil, and plant new seeds, but first you’ll want to take stock of how your site is currently doing so you know exactly what needs help, and what can be left alone. 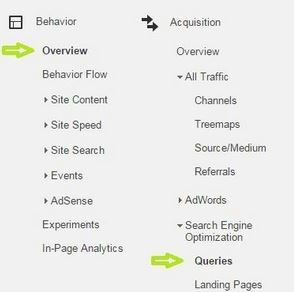 In Google Analytics, you can look at your top viewed pages by looking at the Behavior > Overview > Page report. This will give you an idea of what pages are working well and getting traffic, and which ones are not, and what pages you might want to focus on. Your high traffic pages are like perennial flowers, attracting many admirers, while other pages might need a little extra fertilizer, or be weeded out altogether. In your Webmaster Tools, you’ll want to take a look at your crawl errors, search queries and site maps to make sure everything is running smoothly. If you see any alerting crawl errors, you’ll want to have someone take care of those immediately. If you have any “Not found” errors, those are less serious since they won’t directly affect your SEO, but you will want to have them fixed as quickly as possible. The beauty of a garden is variety of color and different types of flowers, your site’s content also needs to be attractive, unique, and appealing to the eye. Although it may be time consuming, it’s important to do a thorough evaluation of all your site’s content to ensure it’s up to date and helpful to visitors. A big patch of weeds, or too much of the same type of flower is unappealing, just like duplicate content, blurry images, or grammatical errors. You can start by updating your contact information, and your calendar or events schedule. You’ll also want to run through your site to make sure you have added any new products and removed any old products which you no longer offer.Next, you can check all the images on your site to make sure they are loading properly, and replace any broken images with new ones or the correct one. Also, if you have images on your site that appear a bit outdated you might want to consider replacing those with some fresh images. Nobody likes a garden full of dead or wilted flowers! Another important item to check on your site are your calls to action (CTAs). You should make sure any and all your CTAs on your site are clear, and that the user is able to fill out any forms without having issues. You should also check your news or blog section to see when the last fresh piece of content was shared or published. You should aim to update your content with current and relevant news or information, regularly. Your readers will value the fact your business is creating and publishing new content, and they will enjoy getting to know your business and what you do better. Over the course of the year, URLs change, websites are moved to new servers, and pages are taken down. It’s normal to come across broken links and error pages every now and then, but you ultimately don’t want to find any of these 404 pages on your site. Google takes into account the site that have too many broken links and will penalize you, affecting your SEO. 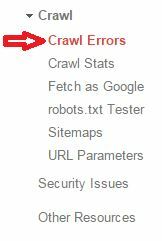 To see if your website has any broken links, log into your Google Webmaster Tools account, and under Crawl you can view the Crawl Errors that appear on your site. These are the pages that are returning 404 errors when that particular URL is visited. If you are seeing any 404 errors here, you’ll want to get these fixed as soon as possible. If it’s a page that no longer exists you’ll want to have these URLs redirected to another relevant page, or, if this page still exists, you’ll want to look into why this page is returning a 404 error. Like removing weeds from a garden, repairing these errors will improve the overall health of the site. Including title tag elements are one of the easiest ways to improve your site’s SEO. A title tag is a meta HTML element that defines the title of a web page. They are very important to your SEO for many reasons. Optimized title tags and meta descriptions not only enhance your site’s SEO but form the “snippet” which is the very first thing you see in a search result, like an attractive garden gate. It’s important to brand the title tag of your website’s pages by including your brand name, as well as relevant and important keywords and information about each page’s content. The description can go into more detail about the content of the page, centered around the same keyword as the title. Choosing the right keywords is just like selecting plants that will grow best in your garden. Both involve research! Keyword research consists of first checking Google Analytics Queries Report to see what keywords users are submitting to find your site. If these keywords are relevant to your business, they might be good keywords to track and utilize in your title tags and meta descriptions. Google AdWords also has a helpful tool for coming up with keyword ideas for your business. You can simply enter your business’ URL or the landing page you would like a keyword for, and Google AdWords will generate a list of keywords related to that particular URL. Keywords that are high in average monthly searches, and low in competition are the keywords you’ll want to use. The high monthly searches tells you how often users are searching these keywords in Google, and the low competition gives you an indication of how many advertisers are using these keywords. With a little research, you’ll find a great combination of keywords that will work for your site. So this Spring, whether it’s revamping your garden, or your website’s SEO, we all can agree that there is always work to be done. Although spring cleaning means a lot of tidying up, there’s no better feeling than starting the summer off with a clean slate and plenty of room to grow.